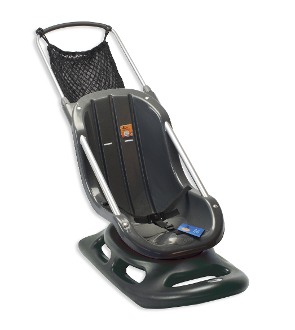 ALL NEW VERSION THIS SEASON WITH SWEET RETRACTABLE PUSH HANDLE, TALLER MORE COMFORTABLE SEAT AND MESH CARRY POUCH INCLUDED. BE THE ENVY OF EVERY SNOW GOING FAMILY WITH LITTLE ONES IN TOW - EXCEPT YOU'LL BE GLIDING THEM ALONG OUT IN FRONT ... THIS MODULAR SNOW STROLLER MIGHT AS WELL BE A MAGIC CARPET FOR YOUR LIL' TIKE(S)! SNUGGLY IS THE PERFECT ACCESSORY TO KEEP YOUR LIL ONE TOASTY ON THE RIDE TODAY!